We wanted to start by congratulating our esteemed puzzle solvers on the first half of the clue, which resulted in the below image. While they’re still working on the second half of the puzzle, which will reveal more about Darth Malak, we want to share with you the requirements for the event. Whether they solve it or not (but we’re guessing they will inside the next couple of hours), the Star Forge Showdown begins this Friday (4/12) with two phases which can be completed in whatever order you choose. This is a completely new event type and will be more complicated and difficult than any event we’ve run before. In the first battle, you’ll face Darth Malak using Jedi Knight Revan and any four of the characters needed to unlock Jedi Knight Revan (Bastila Shan, Jolee Bindo, T3-M4, Mission, and Zaalbar). The second battle will require Darth Revan with any four of the characters that unlocked Darth Revan, Canderous Ordo, Carth Onasi, Juhani, HK-47 and Bastila Shan (Fallen). 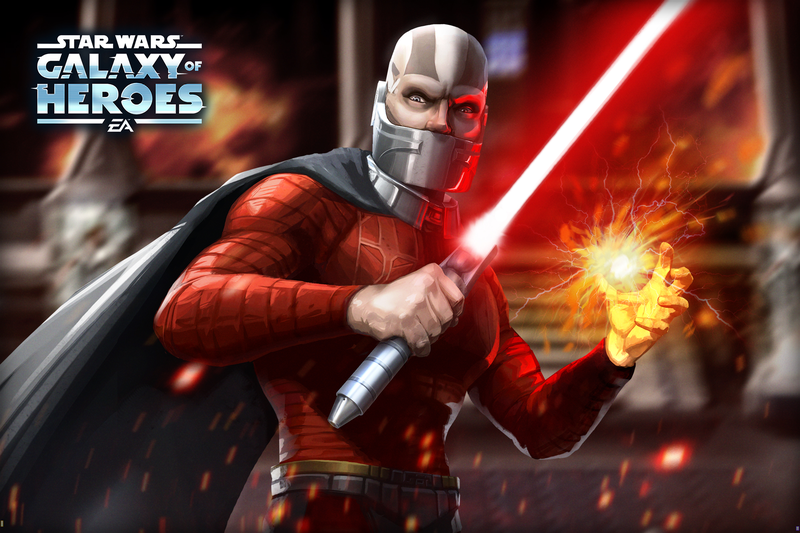 Darth Malak shards will appear in the Guild Event Store when you unlock Darth Malak at Five Stars. To reiterate, this will be an extremely difficult battle and for the first time in an event, you’ll need each of your characters to be at least at 17,500 Power to enter. You’ll also only have a limited time to complete this achievement and earn Darth Malak. The event will start Friday 4/12 12:01AM (PDT) and run through Sunday 4/14 11:59PM (PDT). Edited 4/10 to correct confusing wording. Edited 4/11 to correct timezone.